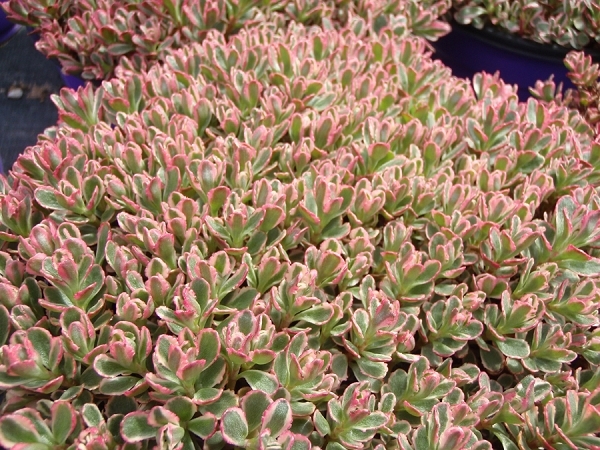 This variety forms a low carpet of small green leaves, dappled with pink and creamy-white. Clusters of soft-pink star flowers appear in summer. A fairly slow grower, this is inclined to revert, and any all-green shoots should be removed as they appear. Easy to propagate; simply break pieces off in early summer and stick them in the ground. Trim stems and dead flower heads back in early spring.